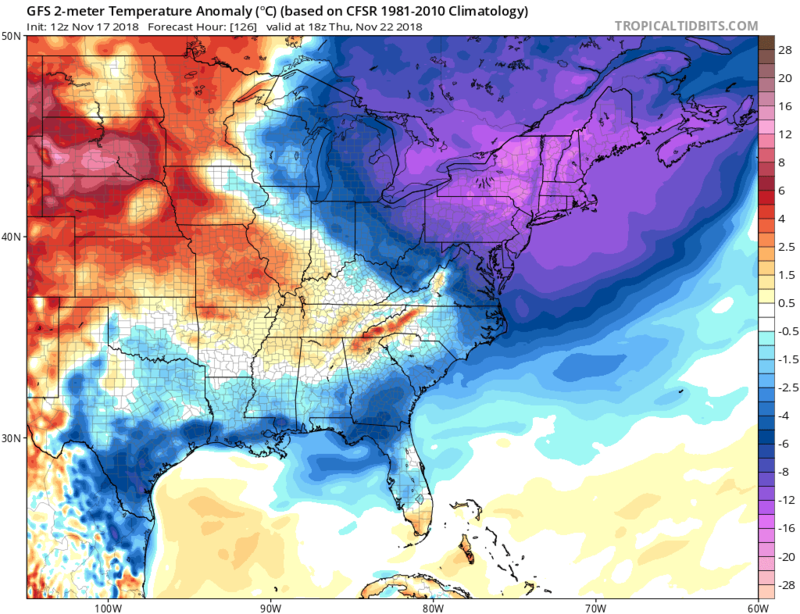 A bitterly cold air mass…particularly for this early in the winter season… will take hold of the region for Thanksgiving Day. Temperatures will be stuck in the upper 10s to middle 20s during the daylight hours across the Cape with strong northwest winds driving wind chill values down to near 0F. The frigid air mass moving over the still mild Atlantic waters will create a very unstable environment just offshore of the Cape, with widespread streamers of heavy ocean effect snow falling in the waters surrounding the area. 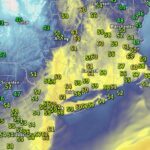 While the bulk of this activity will remain offshore, this type of set-up…pure arctic air diving southeastward across the waters of Cape Cod Bay and Massachusetts Bay…is usually enough to produce clouds and snow showers on the eastern half of the Cape…particularly the Lower and Outer Cape. 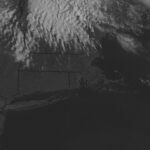 So while sunshine (but frigid conditions) will prevail on the Upper Cape…one should expect variable conditions the further east one goes…with blue sky and sunshine occasionally giving way to clouds and brief bursts of snow. Odds for seeing some snow flying will increase as Thursday afternoon evolves into Thursday night.